CPR can be a lifesaving procedure that is used to open up a person's air passages and restart breathing and heartbeats. It is incredibly important to know the signs and symptoms that indicate a person requires CPR. 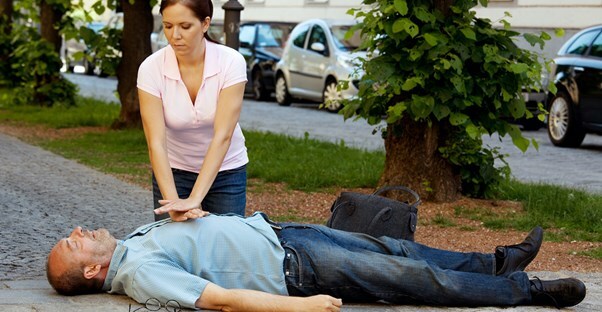 No breathing, very limited breathing, or gasping for air are the most obvious signs of someone needing CPR. Look for movements in the person's chest and mouth to determine if breathing is labored or nonexistant. Check the person's wrist, neck, or heartbeat when determining if a pulse is present. If no pulse can be found, there is a high chance that the heart has stopped beating. This can be defined as a sudden change in mental status that disconnects the person from his or her normal conscious state. Unconsciousness must be taken as a serious medical concern, and asking simple questions like "What is your name?" or "How old are you?" can help determine if the person is truly unconscious. Electrocution is incredibly serious and can lead to fatality. When someone is electrocuted at a high enough voltage, CPR could be required to restart the victim's breathing or pulse. This last point is especially relevant with children and infants. Exposure to smoke and inhalants can limit or, in some cases, completely block all air passage ways in the respiratory system. Drowning causes a similar reaction. In any case, a blockage of air ways should be grounds for immediate CPR. Knowing the signs and symptoms of victims who require CPR can save lives. The more you know how to recognize these signs, the more prepared you or a loved one will be when confronted with a life-threatening situation requiring immediate CPR.